Have you always wanted to write? Is it your dream to write a novel, a collection of poetry or a single short story? This course will introduce you to some of the most valuable skills needed to write creatively: imagination, confidence and perseverance. Over nine two-hour sessions you will have the opportunity to write and workshop fiction, prose and poetry. You will develop your own writing skills to produce short stories, flash fiction, poetry or extended writing pieces for your creative writing portfolio. There is no course fee and no prior qualifications needed. Places are limited, so please email livelocalearnlocal@cardiff.ac.uk if you wish to attend. 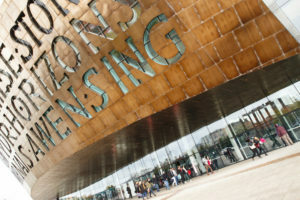 The course will take place in the Wales Millennium Centre, Seligman Room.